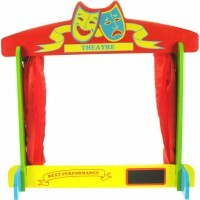 Children love going to the theatre and also enjoy puppet shows. 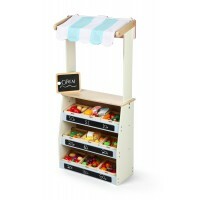 Our lovely collection of puppet theatres, childrens puppets, hand puppets, puppet story sets and finger puppets are a wonderful treat for children who like to play imaginative and creative games. 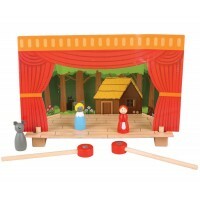 We have beautiful full sized puppet theatres that children can stand behind and put on a show from behind the curtain and for smaller kids we have table top puppet theatres. 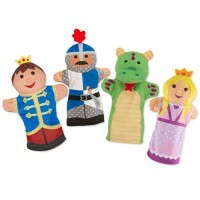 There are also some lovely finger puppets that will inspire stories and adventures for the stage. 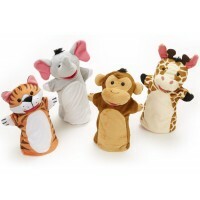 Don't forget, children can also use their favourite dolls and cuddly toys to help them entertain friends and family!